The Gators smash Tennessee! We breakdown the performance and tell you what you can take away from the game. Then we discuss this weekend's tilt with Mississippi State, which is full of intriguing offensive and defensive matchups. What happened? Join us as we breakdown why the Gators fell to Kentucky this past weekend, and what this means for the program moving forward. Are the Gators back? Join us as we breakdown an offensive explosion from the Gators and tell you what this win means for the Gators moving forward. We take a look at Kentucky and get you ready for this weekend's slate of games. The football season is finally here and we'll get you ready for the opener with a MEGASODE!. We discuss the state of the program, breakdown the depth chart, and lay out our expectations for the game and the season. We discuss the current state of recruiting, chat about SEC Media Days, and answer your questions. 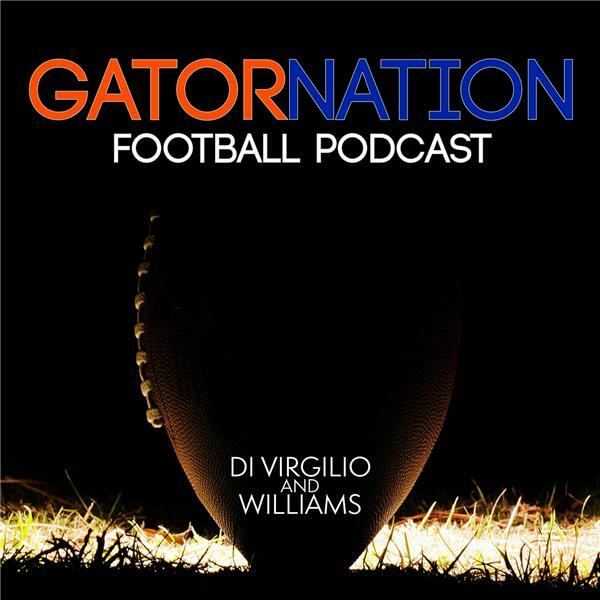 We discuss the latest news around the program, play stock up and stock down with the programs of the SEC, and we finish the show with a Flag Football Update from James' team with a bunch of former Gator players. We talk Orang and Blue game, Dan Mullen, quarterbacks, offense, defense, and flag football. We analyze National Signing Day and all of the other news since our last ep.